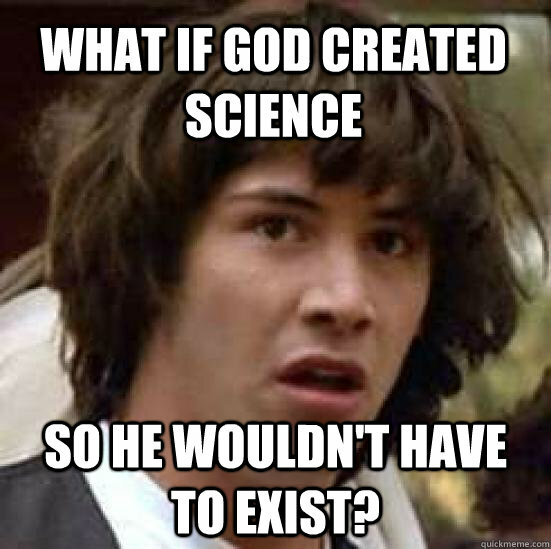 What if God created science so he wouldn't have to exist? 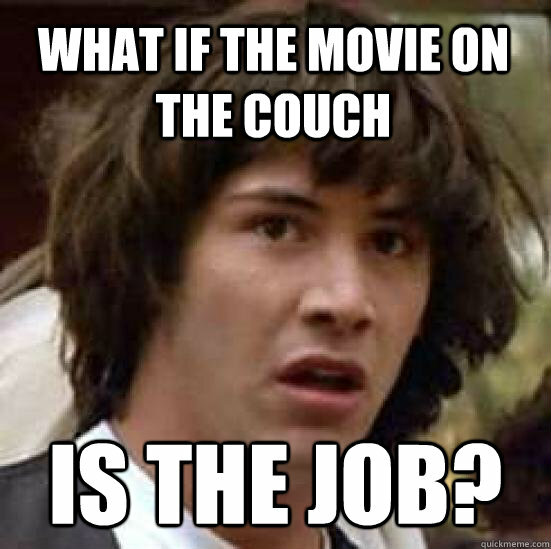 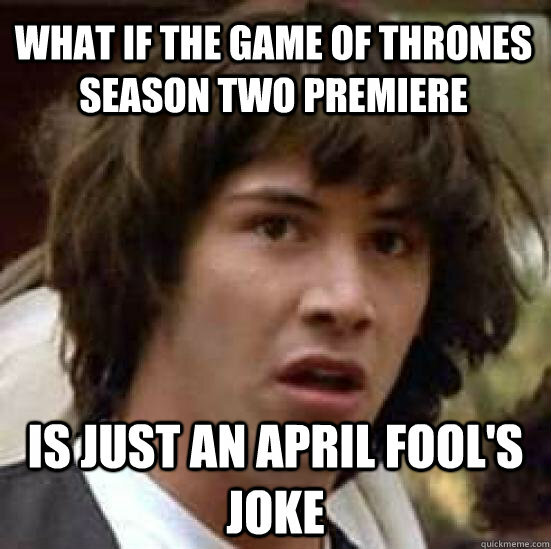 What if the movie on the couch is the job? 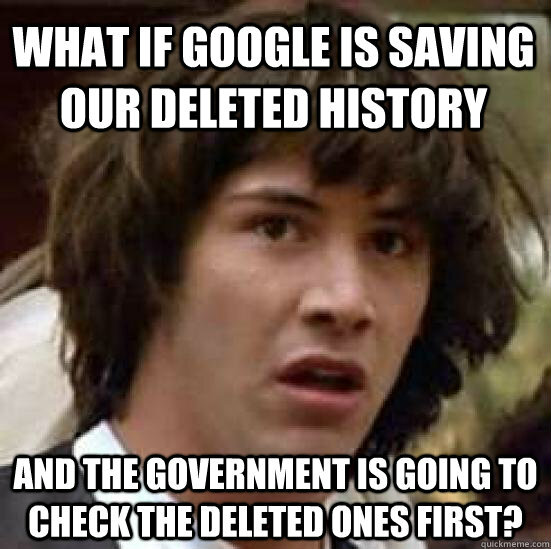 What if Google is saving our deleted history and the government is going to check the deleted ones first? 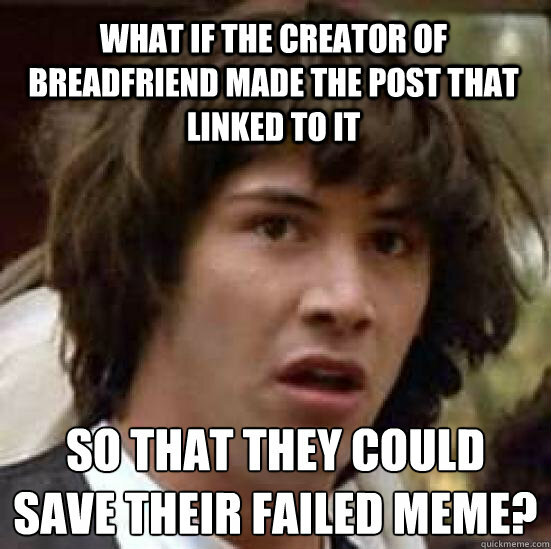 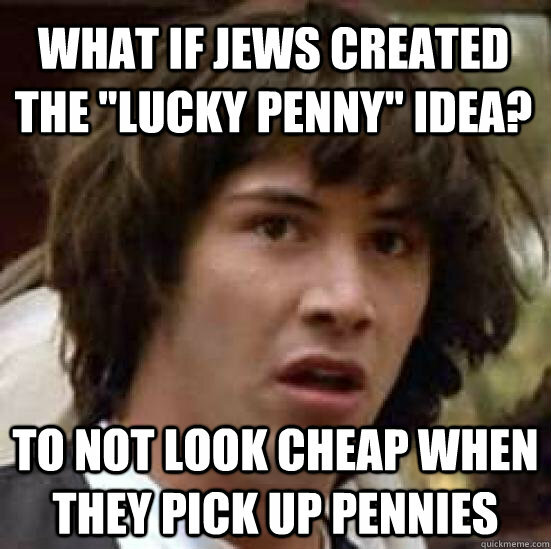 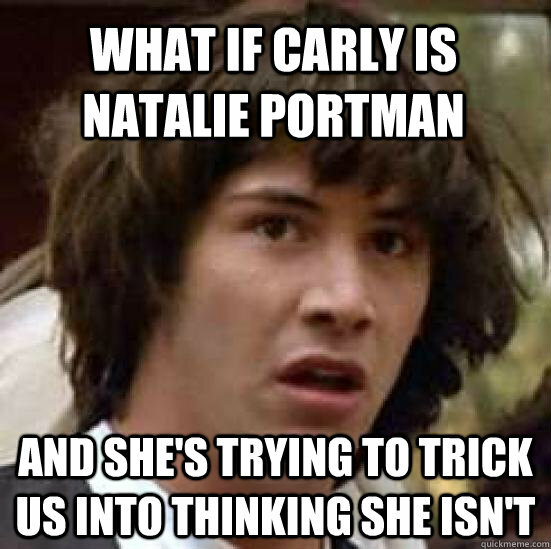 What if the creator of breadfriend made the post that linked to it so that they could save their failed meme? 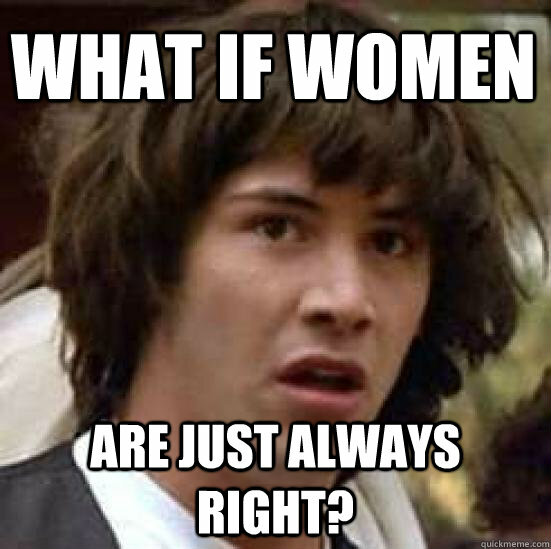 What if women Are just always right? 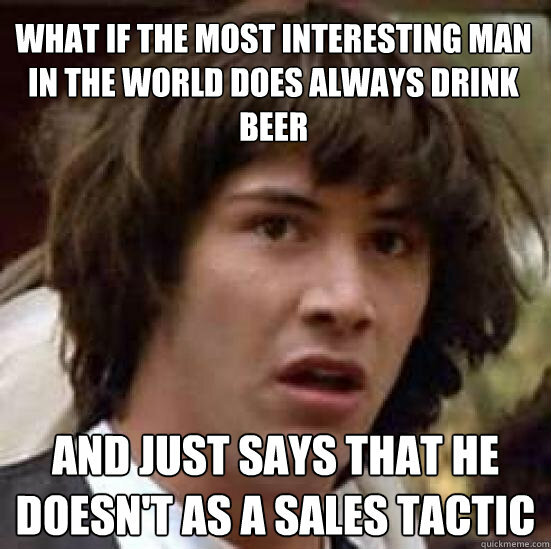 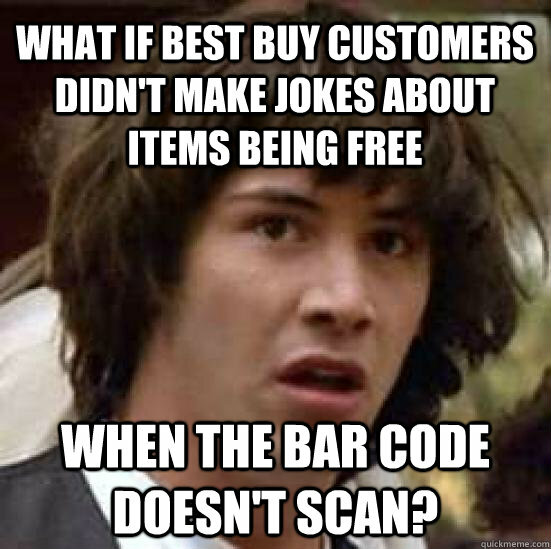 What if best buy customers didn't make jokes about items being free when the bar code doesn't scan?